At the end of the war, members of the French Resistance, like this man with a Sten gun, fought alongside Allied troops to take control of France away from Nazi Germany. 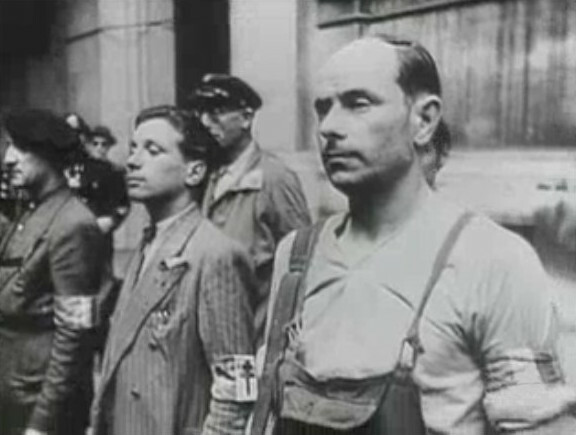 The French Resistance is the name used to refer to the different French resistance movements that fought against the Nazi German occupation in France during World War II (1939–1945). 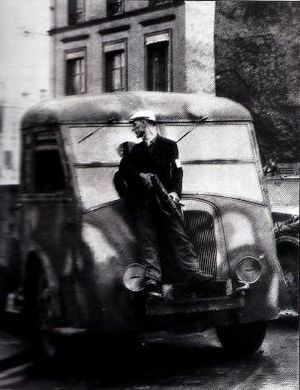 Résistance cells were small groups of armed men and women who killed German soldiers, published secret underground newspapers, collected information about the German army, and helped Allied soldiers and pilots who were trapped in France to get back to Great Britain. The men and women of the Résistance came from all levels of society and many different religions. The Allied armies helped the French Resistance by providing them with guns and explosives. It was very dangerous to be a member of the French resistance. Members who were caught by the Germans were often tortured and killed. When the Resistance killed a German officer, sometimes the Nazi army would kill large numbers of innocent civilians as a punishment. The French Resistance helped the Allied armies to advance through France following the invasion of Normandy on 6 June 1944, and the invasion of Provence on 15 August by providing information about the German defenses. The resistance also sabotaged the electrical power grid, transportation methods, and telecommunications networks. During the Nazi occupation of France, the resistance was an inspiring example of patriotic behavior and bravery. When the war was over, the Resistance executed about 9,000 people who were collaborating with the Nazi occupiers. This included many members of the Milices, a fascist organization that helped Nazi Germany. The cemetery and memorial in Vassieux-en-Vercors where, in July 1944, German Wehrmacht forces executed more than 200, including women and children, in reprisal for the Maquis's armed resistance. The town was later awarded the Ordre de la Libération. 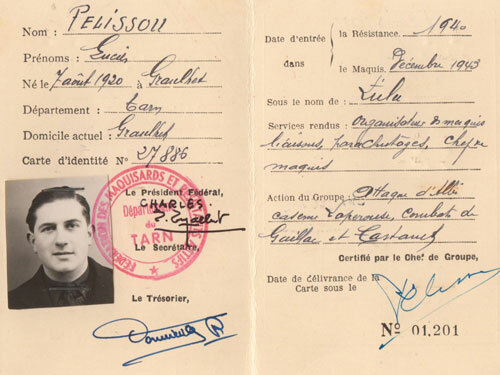 French Resistance fighter Lucien Pélissou's identity document. Free French Generals Henri Giraud (left) and Charles de Gaulle sit down after shaking hands in the presence of Franklin Roosevelt and Winston Churchill at the Casablanca Conference, on 14 January 1943. 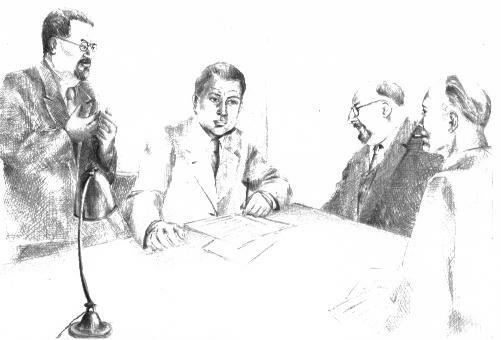 Artist's impression of a meeting of the PCF (Parti communiste français) central committee at Longjumeau, 1943. Left to right: Benoît Frachon, Auguste Lecoeur, Jacques Duclos and Charles Tillon. French resistance fighters in Paris at the Hotel de Ville, 1944. Because so many resistance members were shot at Fort Mont-Valérien, in Suresnes, the France Combattante memorial was installed there. French Resistance Facts for Kids. Kiddle Encyclopedia.